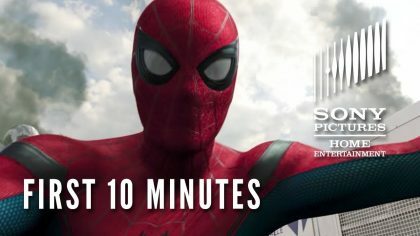 Spider-Man: Homecoming First 10 Minutes! Spider-Man: Homecoming debuts on digital tomorrow and on 4K, Blu-ray and DVD October 17. Watch the second Spider-Man: Homecoming trailer, starring Tom Holland, Michael Keaton, Zendaya and Robert Downey Jr..
Chris Evans, Robert Downey Jr. and Sebastian Stan star in the superhero sequel, Captain America: Civil War. Robert Downey Jr. may reprise his role as billionaire industrialist Tony Stark/Iron Man for Marvel Studios. Robert Downey Jr., Chris Evans and Scarlett Johansson star in the superhero action sequel Avengers: Age of Ultron.